Looking for a great place to eat in St. Paul? You’ll have a dizzying array of choices for a quick bite, a leisurely supper, or a romantic dinner. To help make your decision a little bit easier, we here at Porsche St. Paul have compiled a list of our 5 favorite St. Paul restaurants. This upscale French bistro delights with its ambiance and its seasonal menu of delicious European style cuisine. Whether you’re seated in their classic dining room, their busy oyster bar, or, weather permitting, out on The Terrace sidewalk, you’ll enjoy the best of French Brasseries. This popular downtown spot is open for lunch (Tuesday-Friday), dinner (Tuesday-Sunday), and brunch (Saturday-Sunday). They have an extensive wine list, and their Moules Frites are to die for. For over 80 years this local institution has been the place to go for fine dining. The menu features classic American style cuisine, including some of the best steaks you’ll find anywhere, chicken, seafood, and more. We recommend that you try the Beef Pot Au Pho, a deliciously savory Vietnamese take on French pot au feu. In the Williamsburg Room they feature live jazz nightly on Thursday through Saturday. The bar offers a wide range of cocktails, along with a menu that includes prime beef burgers and their famous chicken pot pie. The Lex fills up fast, so it is recommended that you reserve a table well in advance. An extensive list of local craft beers and a menu of unique, handcrafted burgers highlight this comfortable and sophisticated neighborhood tavern. They also offer cocktails, fine wine, and a wide variety of unique and flavorful appetizers. Dinner is served daily, while lunch is offered Monday through Friday, and brunch on Saturday and Sunday. We’re fans of their Happy Hour when you can get $2.00 off a glass of wine or select beers, and sample savory delights such as ahi crisps, onion rings, scotch eggs, and Wisconsin cheese curds. Our top choice for a romantic dinner, this rustic yet sophisticated restaurant has been a Cathedral Hill fixture since 1975. Featuring sustainable, locally sourced foods from family farms, the menu changes seasonally. The dinner fare includes steaks, seafood, chicken, salads, sandwiches, and artisan cheese plates. Classic cocktails, and ana long list of fine wines and craft beers, highlight their bar menu. The restaurant is housed in a lovely turn-of-the-century building, and offers outdoor dining when the weather permits. Serving contemporary Southern cuisine, this new restaurant located in Lowertown is a fun place to go and indulge yourself in their self-described “pig-centric” menu. In addition to Pig-of-the-Day specials such as whole roasted hog jowls, they feature wonderful chicken and waffles, fried catfish, and bone-in pork chops. The bar is something else again, featuring over 100 bottles of bourbon, and a wide array of libations from local distilleries and breweries. They open at 11 a.m. and serve lunch and dinner Monday through Saturday, and brunch starting at 10 a.m. on Sunday. 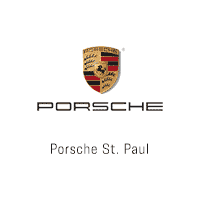 Explore the Twin Cities Restaurant Scene with Porsche St. Paul! There are so many terrific restaurants in the St. Paul area, and our list only scratches the surface. We’re always on the look-out for great places to eat, and for other things to do and see around White Bear Lake and St. Paul. Check out our list of the best Maplewood restaurants, and if you have any questions, or would like more information, please feel free to contact us.